Learn How to Cook Spaghetti Squash using your oven, Instant Pot and microwave. Spaghetti squash is the perfect gluten-free alternative for pasta. 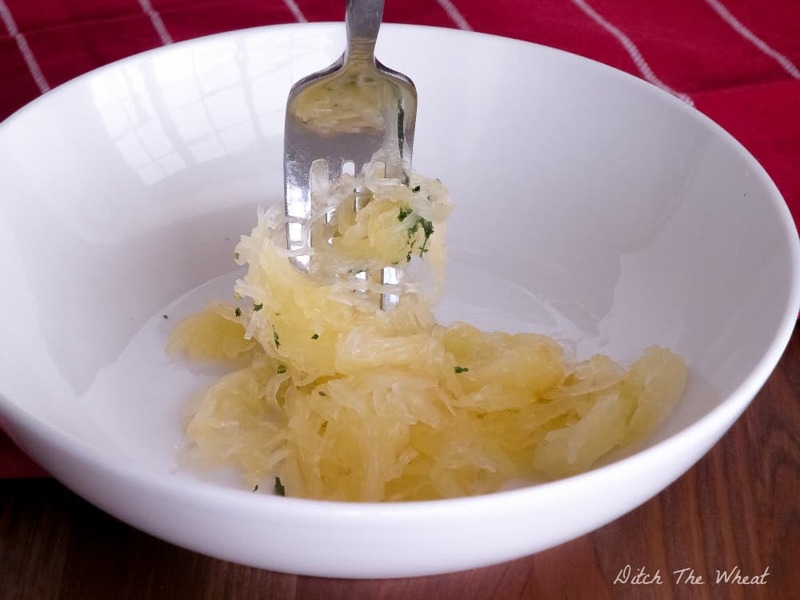 I’ve heard of replacing spaghetti with spaghetti squash since I started eating gluten free. As someone who never enjoyed pasta, I never tried making spaghetti squash. A while ago, I was walking around the grocery store and saw spaghetti squash. It’s a small yellow squash. I never noticed it before but then again I never notice a lot of things. The spaghetti squash was relatively cheap so I made an impulse purchase. When I cut the spaghetti squash open I panicked. Where is the “spaghetti” in this squash? I thought I bought the wrong squash and then I thought if this is the correct squash this is not going to be enough to feed me. I thought the little bit of stringy strands holding the seeds must be the “spaghetti” in the squash. I went ahead and baked it. I was still not convinced until I stabbed the squash with a fork. This is the neat part. The whole inside of the spaghetti squash once baked, turns stringy. It’s like a magic trick! When a fork or spoon is inserted you can easily pull out the spaghetti. I found it rather fun to scoop it all out. 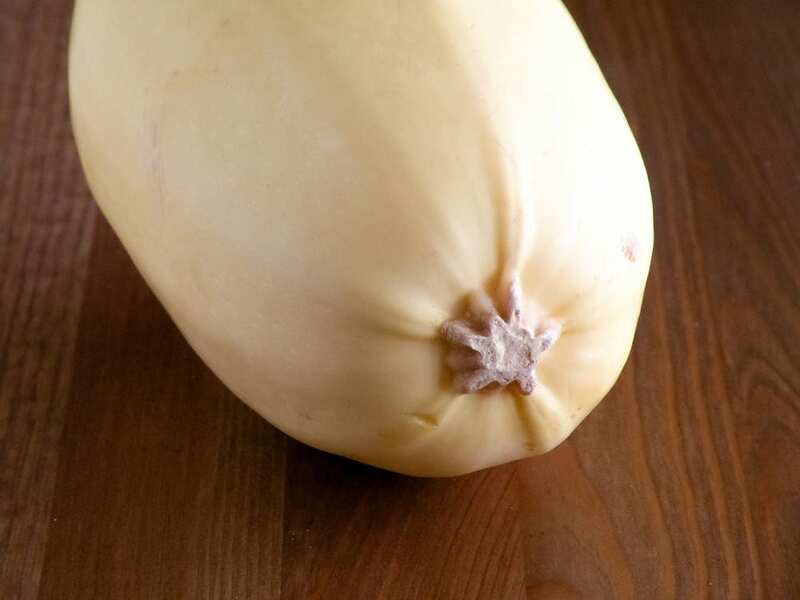 This is what a spaghetti squash looks like. It is oval in shape and is quite small. I stored my squash in the fridge until I needed it. You can find it in the squash/potatoes/and other root vegetable area of your grocery store. Cut the squash in half. This is tricky so take your time. Place the cut squash face side down. Bake for 30 minutes. The squash is done when a knife can be inserted through the skin. Use a fork or spoon to scoop out the stringy inside. Discard the seeds but keep the stringy squash. I found 1 squash made 4 bowls of pasta for me. I did find the spaghetti squash can make a pasta dish a little watery. Try to pat dry the spaghetti strands before mixing with the sauce. I did find the spaghetti squash can make a pasta dish a little watery. Try to pat dry the spaghetti strands before mixing with the sauce. 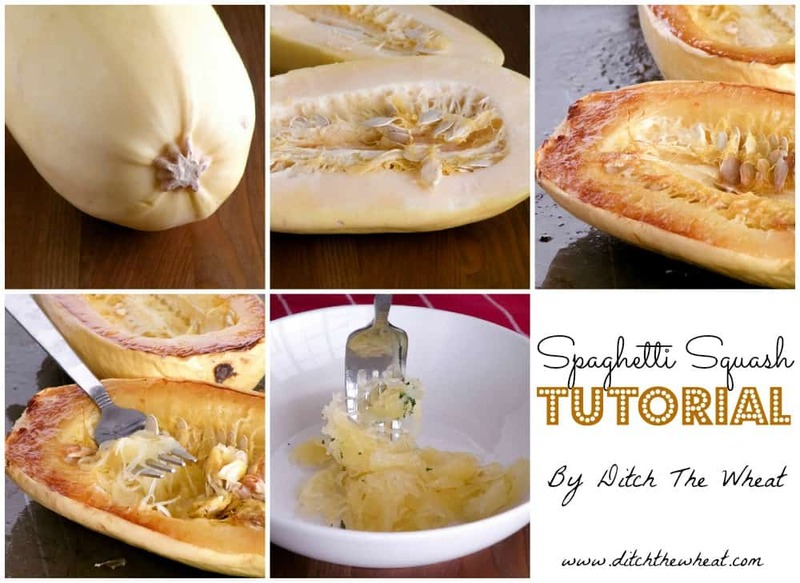 You would use the spaghetti squash the same way you use “regular” spaghetti. Make a delicious sauce and mix it with the spaghetti and serve immediately. Leftover spaghetti squash was great the next day. I reheated the spaghetti squash and added the sauce. It wasn’t mushy but instead tasted like it was fresh. Scoop out the seeds. Save the seeds for roasting. You can roast them just like pumpkin seeds. 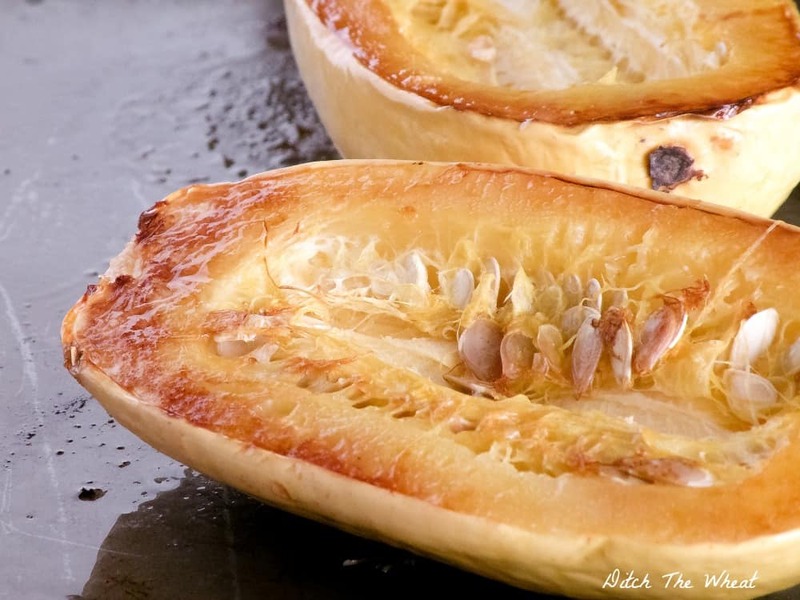 *I know my pictures show the spaghetti squash roasted with the seeds but after doing this many times, it’s easier to remove the seeds first and then roast. Use a spoon to scoop out the stringy inside. Discard the seeds but keep the stringy squash. 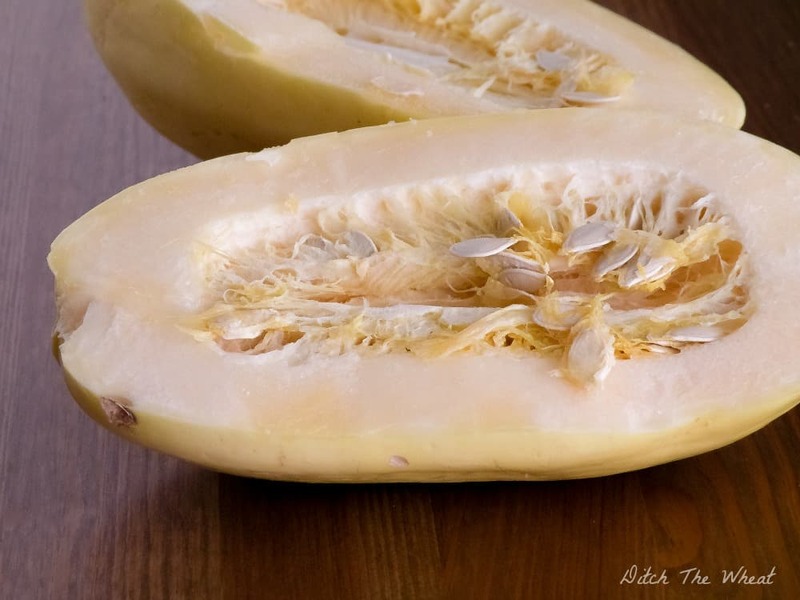 When using the Instant Pot to cook your spaghetti squash there is no need to cut it! Keep in mind that the Instant Pot needs to come up to temp and then pressurize so you’re not really saving anytime cooking it this way compared to roasting. Place the steamer basket or a metal trivet inside the Instant Pot. Pierce the spaghetti squash all over with a sharp knife. Add the spaghetti squash to the Instant Pot. Using the manual function, set for 15 minutes on high pressure. Add the lid and follow the directions for your Instant Pot. After 15 minutes, allow the Instant Pot to release the pressure. When it is safe, use oven mitts (because it WILL be extremely HOT), remove the spaghetti squash from the Instant Pot. Allow the spaghetti squash at least 10 minutes to cool before cutting into. Use a fork to scrape out the “pasta”. Using a microwave is the fastest way to cook spaghetti squash. Just make sure you DO NOT try to cook it whole in the microwave. Steam would build up and create a dangerous situation. Always cut it in half. Scoop out the seeds. Save the seeds for roasting. You can roast them just like pumpkin seeds. 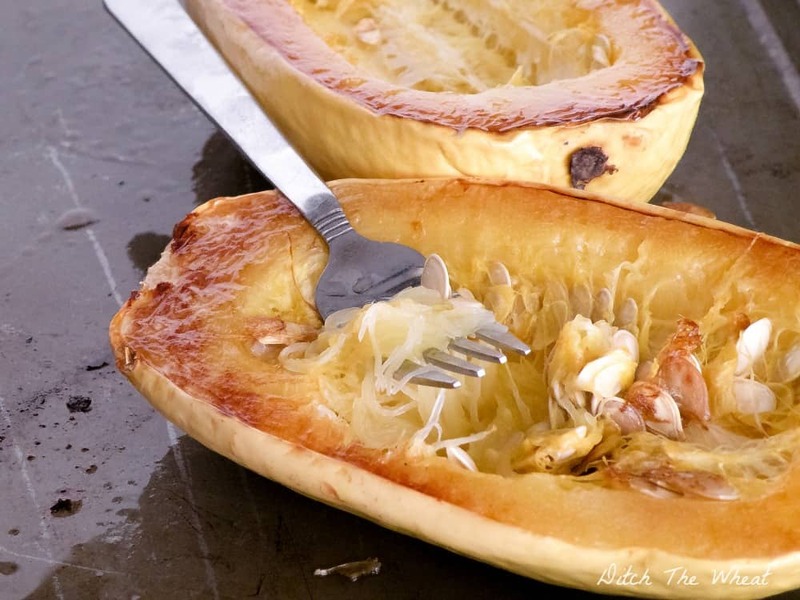 Place the spaghetti squash halves upside down in a microwave safe baking dish. Fill the dish with at least 1 inch of water to create steam. Microwave on for 10 minutes. 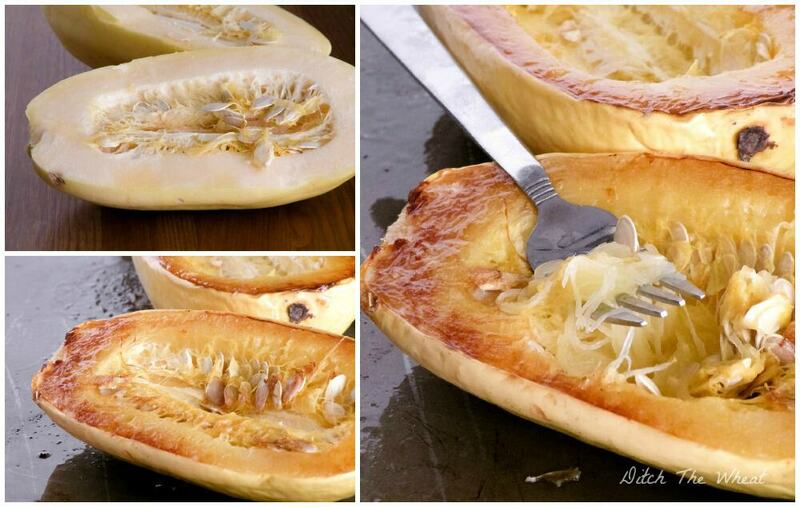 Check the spaghetti squash for doneness by poking it with a fork. If the fork can go through the skin effortlessly then it is done. If not continue microwaving on for a few more minutes until it is fork tender. Using oven mitts (because it WILL be extremely HOT), remove the baking dish from the microwave. Use a fork to scrape out the “pasta”. Come back next time for this yummy Shrimp pasta dish. I love spaghetti squash! But I have a tendency to under-cook it and it turns out more crunchy than like spaghetti 🙁 I’ve actually been baking mine whole, so I’m going to try cutting it in half first like you suggest. I liked this method because it speeds up baking time by about 20 minutes. We grow these in our garden!! There are about 101 ways (literally) to eat this after baking. 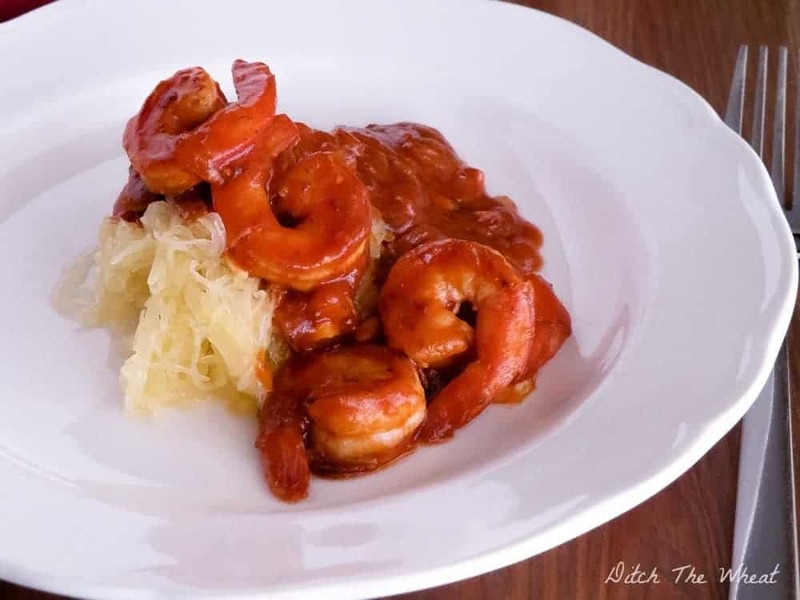 Just about any “pasta” dish in any ethnic cuisine can be adjusted to accommodate spaghetti squash. Adding about 1/4″ of H2O in the bottom the baking dish and covering loosely with foil speeds the baking process if you’re in a hurry at the end of the day. It stores very well for several days in the fridge so can be prepared ahead. I love your site and the newsletter. Keep up the good work. Thank you for the idea!!! I will have to try that next time. I have one of these babies on my counter right now. I love to add halved cherry tomatoes, feta cheese, sea salt, and a big dollop of grass fed butter to mine. YUM.